This beautiful book cover design has been generously donated by the assisted publishing service SilverWood Books. Blue is the international colour for diabetes, and the circle is the symbol of World Diabetes Day. A week today, on World Diabetes Day 2013, I’ll be launching my latest book, a short e-book about how Type 1 Diabetes has affected my family. Its prime purpose is to raise funds for the search for a cure, via Type 1 Diabetes charity JDRF. As close friends, family and regular readers of this blog will know, my husband and our ten-year-old daughter Laura both have Type 1 Diabetes, a serious incurable condition that requires careful management every day to guard against unacceptable short-term and long-term health risks. The book started out as a series of occasional blog posts here, addressing different aspects of living with Type 1 Diabetes. It brings together all of these posts in one place, plus extra material written especially for the book. One of the new additions is an excellent Foreword, kindly provided by the broadcaster Justin Webb, who co-presents BBC Radio 4’s influential Today programme, and who also has a child with Type 1 Diabetes. “This book has been written by someone who is ready and willing and able to fight back, and I commend her for it. The funds raised by this short e-book will help bring that triumph closer. The e-book will be available exclusively from Amazon from 14th November. The retail price will be £1.99 in the UK, and the equivalent in all Amazon territories around the world. All profits from every copy sold will go to JDRF, the international charity for Type 1 Diabetes. The profit will be around 70% of the retail price. because the book has cost nothing but time to produce. 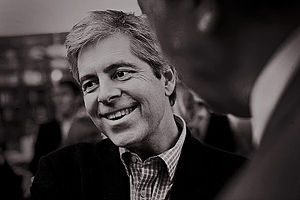 Justin Webb and my author and publisher friends have given their services free of charge. Special thanks to SilverWood Books for their beautiful cover design, to novelist Joanne Phillips and poet Shirley Wright for proofreading, and to many other friends for reading the draft copy in advance of publication. I will also be very grateful to anyone who is willing to post a book review on Amazon, because the more reviews a book has, the more visible it becomes on Amazon, thus increasing sales opportunities. 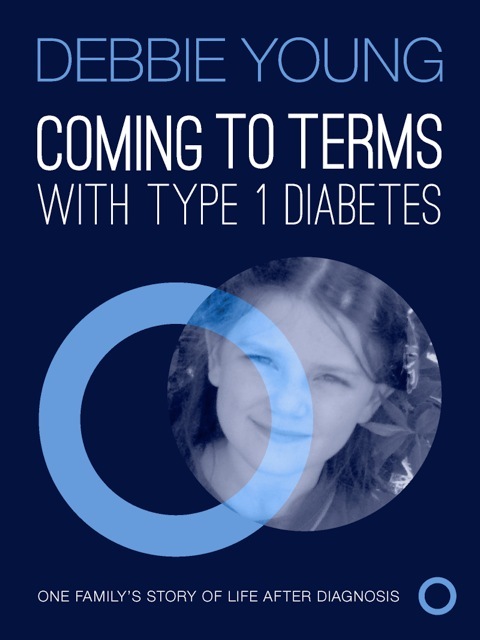 As the book is relatively short – around 8,000 words – there are currently no plans for a print version, but next year I’m hoping to publish an anthology of essays by other writers whose lives have been affected by Type 1 Diabetes, and I may incorporate this first book as a part of that project. Anyone who would be interested in contributing a piece to the 2014 book is warmly invited to register their interest via the contact form on this website. Good on you, Debbie. I’m sure a lot of people will benefit from this book. Wishing you much success with this, Debbie, and I commend your efforts to raise awareness and money to advance the treatments and cure for Type 1 diabetes. Thanks, Laura. It makes me feel so much better to be able to do something constructive about it.